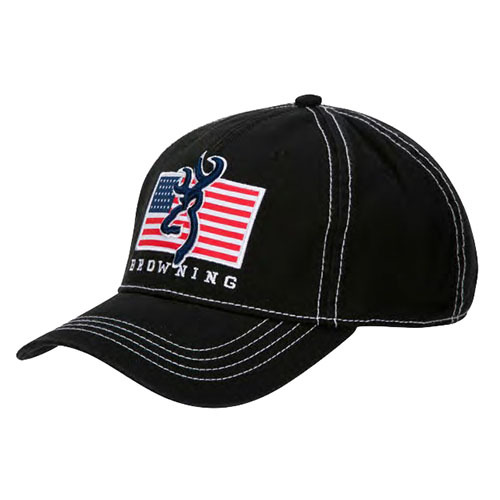 The Browning Men's American Flag Pride Cap will be your summer staple with its classic style and patriotic design.The design gives the hat structure and the back hook and loop closure adjusts for a personalized fit. This Browning hat has the signature Buckmark embroidered on the front over an American flag with the Browning text. A curved brim reduces glare and shields your face from the sun. while you work in the yard or practice with your bow.